Much like the world of art that is constantly prone to change, 3D Systems’ last year has consisted of a lot of sudden twists and turns too, which has made the company’s future a tough picture to paint. Amidst financial struggles and high operating costs throughout the bulk of 2015, 3D Systems brought on a new CEO in Vyomesh Joshi, the former vice president of the Hewlett Packard Imaging and Printing Group. Since then, the 3D printing company has made a number of other major administrative changes, including the resignation of their COO and CMO and recently announced changeover in CFO. Still, it seems that the Rock Hill, South Carolina-based 3D printing giant is still chugging along, this time with a more keen focus on providing the ultimate end-to-end solution for their customer base. 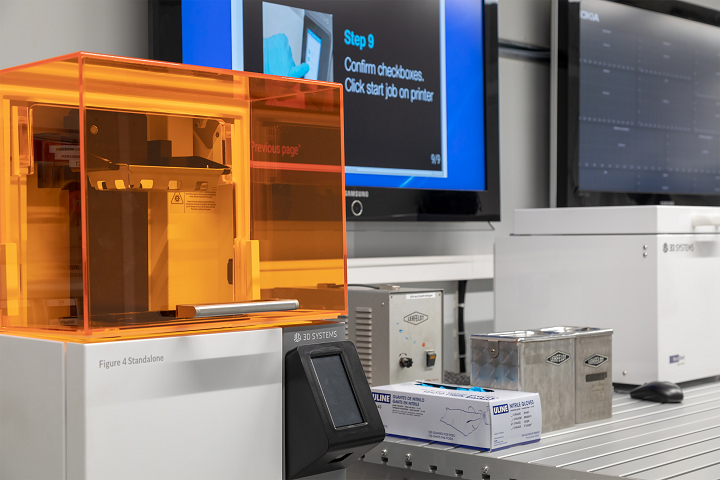 Recently, the 3D Systems printing ecosystem was utilized by the Polich Tallix Fine Art Foundry in Rock Tavern, New York, a museum dedicated to helping artists develop and produce their own work. If you happened to visit the museum, which has been operating for nearly 50 years, you would have no choice but to notice the the grandiose sculptures being casted, fabricated, and now, even 3D printed. Polich Tallix has developed an expansive digital production sector, implementing a complete digital workflow that is handled by their 3D Artist and Production Specialist, Daniel Plonski. Their process starts with a 3D scan of their client’s idea or artwork, which is then transferred into 3D Systems’ Geomagic software, a comprehensive reverse engineering software that swiftly prepares 3D scan data for CAD modeling. In Polich Tallix’s case, they use Geomagic as part of a scan-to-print workflow, making surfaces from points, matching 3D scans, filling holes, and more. 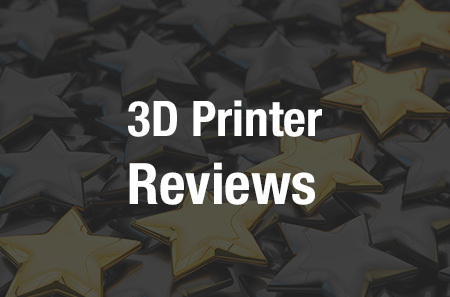 This allows both their artists and clients to review and rework their ideas or artwork on a digital platform, which can essentially be prototyped into the physical realm through their 3D printing technology. 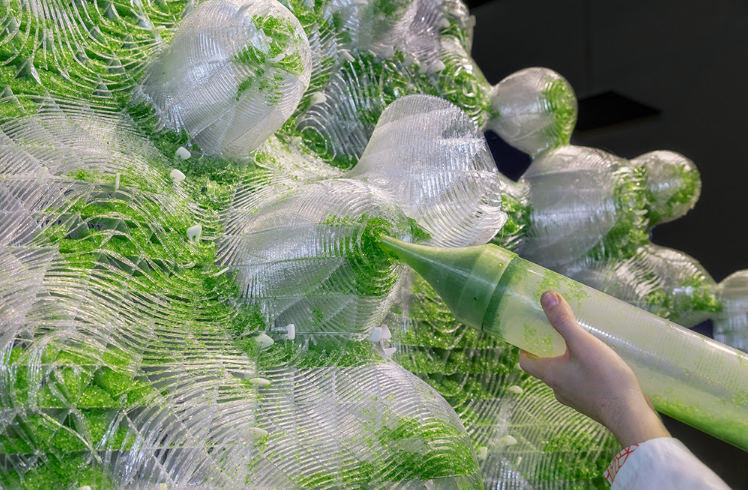 After the 3D scanned artwork is prepared for CAD with Geomagic, it can be brought into form with their 3D Systems Projet 3500 CPX wax printer, which Polich Tallix has owned and operated for quite some time now. The printer is primarily used as a lost wax and investment casting processes, and is known for producing smooth, high-resolution 3D prints. The fine art foundry purchased the Projet 3500 CPX wax printer from CAD BLU, an official 3D Systems Reseller. Not only did the end-to-end solution provided by 3D Systems enable Polich Tallix to recreate the fine work and ideas of their clients into a 3D print, they were also able to do so at a much faster production rate, allowing designs to be quickly modified and tested out on the fly, if need be. With the ability to fine tune and reproduce their clients’ work so quickly, whether they have a digital design to start off with or not, 3D Systems has enabled Polich Tallix to pioneer new techniques within the world of fine art. According to Plonski, who attributes much of his work with Polich Tallix as research and development, the fine art foundry is still working to unlock the full potential of 3D printing technology. But, what the museum has proved to us thus far at least, is that 3D printing and 3D scanning technology can certainly work in tandem as a tool to repair and restore the finest works of art. Discuss further over in the Polich Tallix Foundry 3D Systems Technology forum at 3DPB.com.